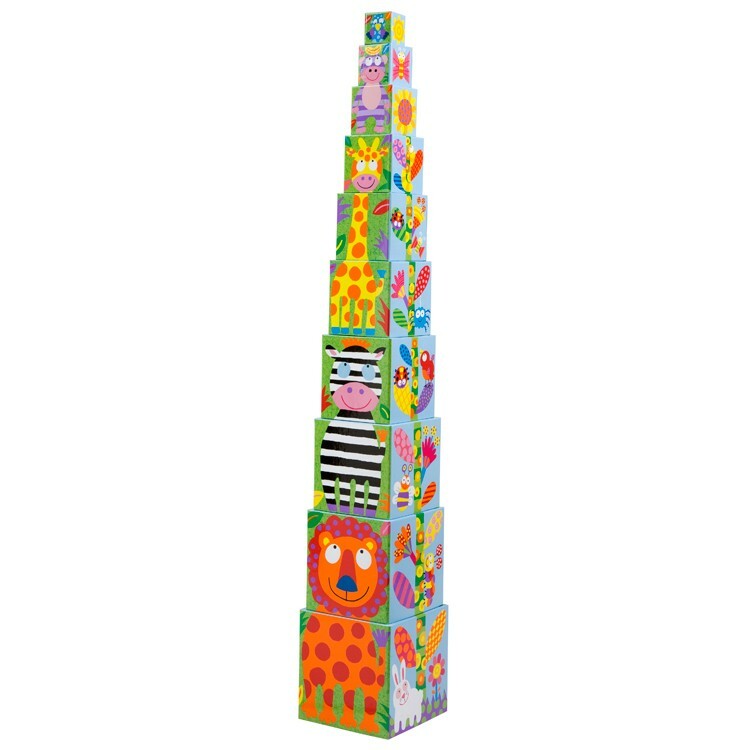 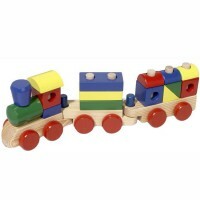 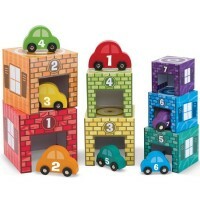 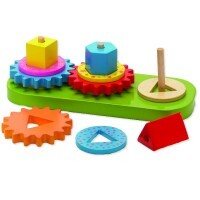 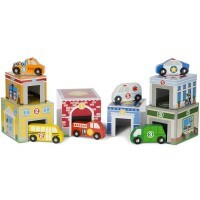 This set of colorful stacking blocks takes a matching game to the next level and combine it with stacking fun. 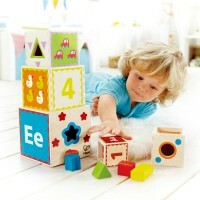 Let's take a matching game to the next level and combine it with stacking fun! 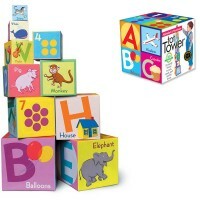 Match & Stack Stacking Blocks by Alex Toys comes with 10 blocks of varying sizes that provide many different opportunities for learning. 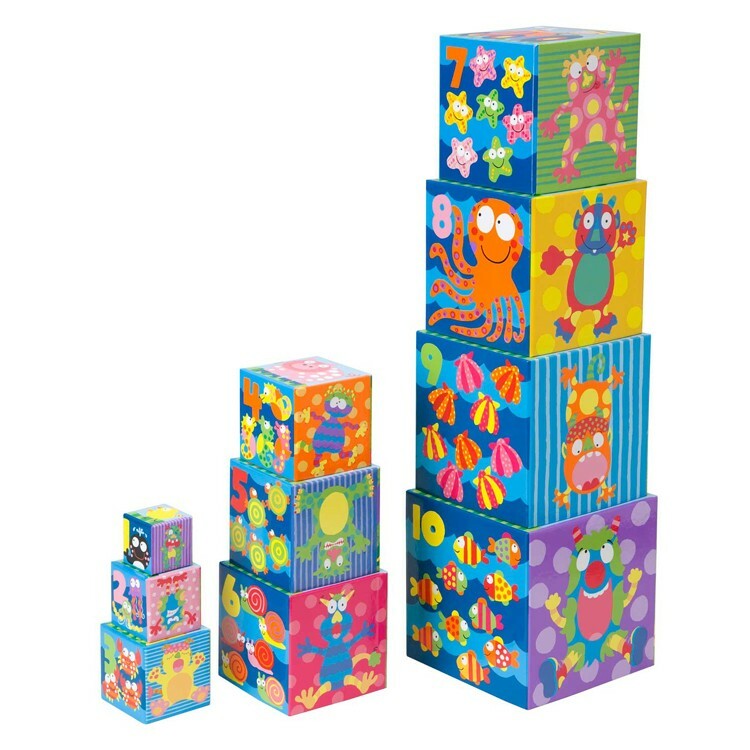 You can stack the blocks up by numbers, then turn to the left and discover a great long flower stem, round again for a shrinking set of monsters and again for things on a farm! 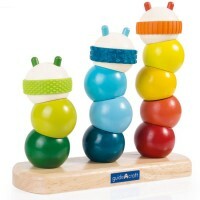 You can match them up on top of one another to make a giraffe stack, on line them up sideways to practice counting. The Match & Stack blocks increase in size as the numbers go up to help you learn counting that much faster. 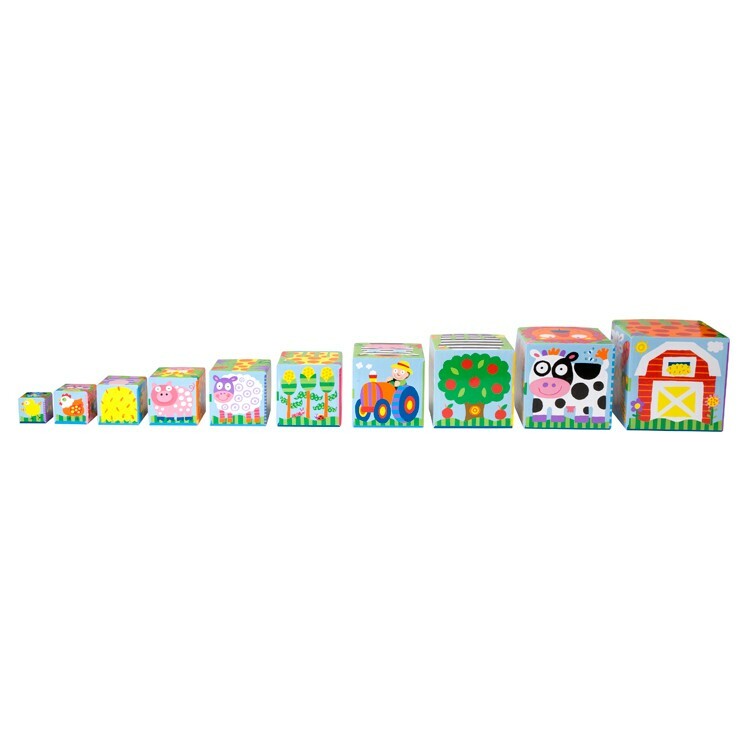 You can also set these building blocks all along each other to make a giant farm consisting of animals, tractors, trees and a barn. 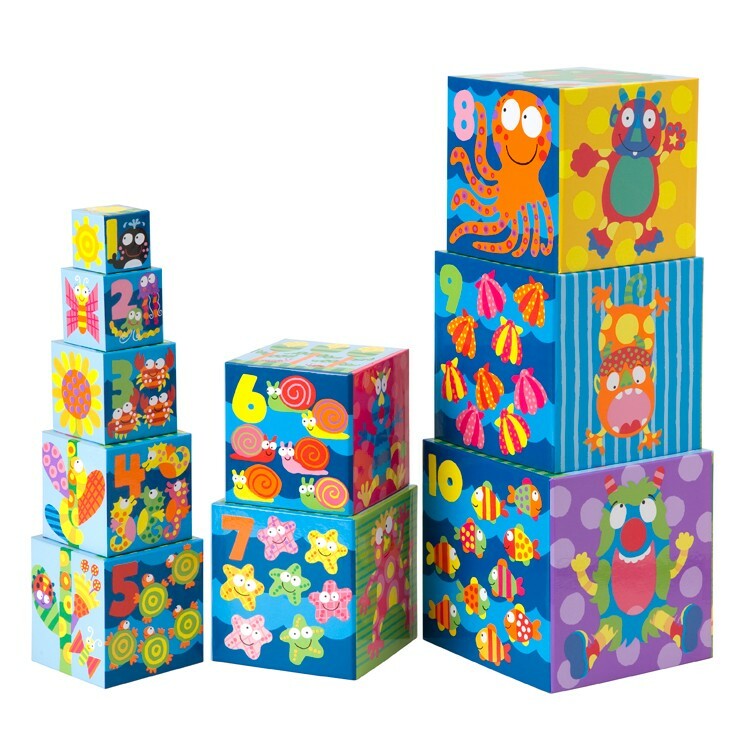 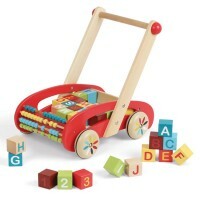 Match & Stack Stacking Blocks activity toy from Educational Toys Planet helps exercise hand-eye coordination, matching skills, and numbers skills for toddlers and preschool children. 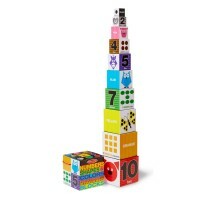 The tallest tower built with these building cubes is 35 inches tall. 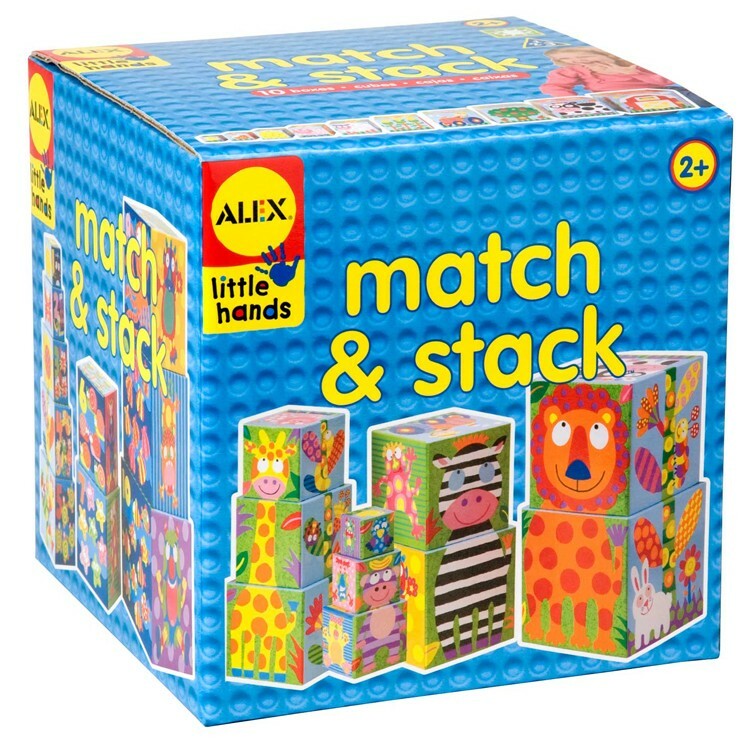 Write your own review of Match & Stack Stacking Blocks.